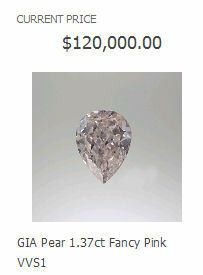 So you see, laboratory diamonds in Pink are very expensive (and these are trade prices). 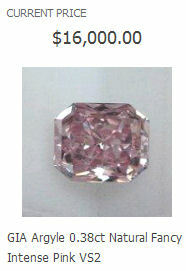 $120,000 for 1.37 carat is around £60,000/crt. We have made Pink diamonds and if we could make them consistantly, we would be still only be charging around £17,500 per carat AND they would be made from carbon extracted from hair or ashes.